Hi, Annabelle. You don’t know me and I don’t know you, but strangely we’re connected in ways we would never have guessed. I’ve heard about your big day today. And I want to send you my best. The Mississippi River runs through the city where I live. Some days I like to think of the river winding its way through the country, past cities where I’ve never been and people that I haven’t met. And yet, despite the distance, despite the differences, the river connects us. And other days I think of life like that river, carrying you through places and events, past people known and unknown. Sometimes you hit a bend in the river and you can’t see what’s on the other side. I understand you’ve reached a bend in the river. Please know this – there are people cheering for you from the banks. Loud and clear. We want to see you safely around that bend in the river and on your way to your destination. Navigate safely, my friend. And be sure to tell us if you get stuck in the weeds. We’ll be happy to pull your raft clear. 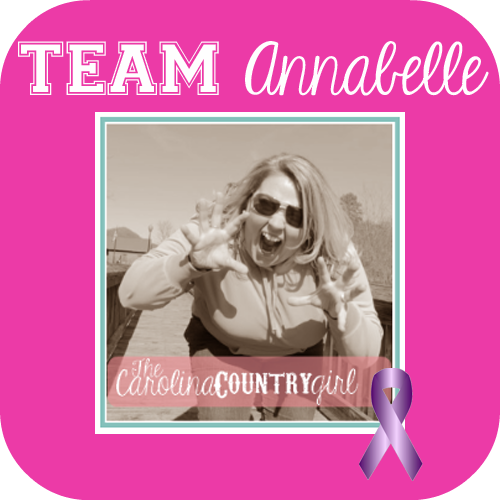 This entry was posted in Uncategorized and tagged #TeamTCCG, cancer, Team Annabelle by Sarah Day. Bookmark the permalink. Sarah this post took my breath away. Thank you so much for being a part of #TeamTCCG! Jen, you are an amazing friend. Your energy and devotion took MY breath away. Thanks for giving us the opportunity to participate. And I have SO much make-up on! Sarah, you made Annabelle win today with this post. This is such a great community – all I can offer is words. Thanks for your nice comment (and sorry I made you cry). That’s ok. I didn’t get my eyeliner right this morning. Crying fixed it. Yay! Thank you for your support and awesome words! I’m printing them out and keeping them for the hard days ahead! Wishing you only the best, Annabelle.